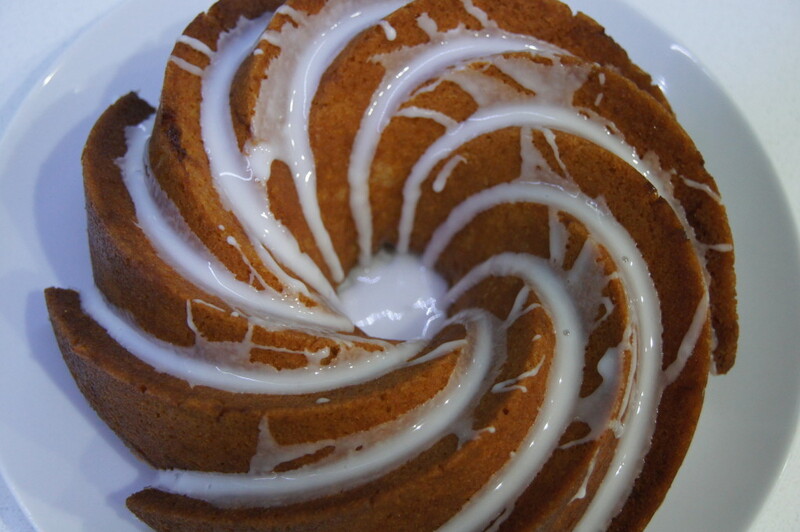 Bundt cakes are very popular at the moment. On Nigella’s Christmas special on Monday night she made 3 using this exact same tin! This is the Nordicware Heritage tin. You can of course use a differently shaped tin but the beauty of this one is how pretty the icing looks trickling down the grooves. If using another tin it will need to have a capacity of 2.4 litres. This is a recipe from the Delicious Magazine recipe that you can find here. Due to the shape of the tin, if you want your cake to come out easily you do need to make sure you grease your tin very well using plenty of butter! 1) Heat your oven to 180°C/Fan 160°C/Gas 4. 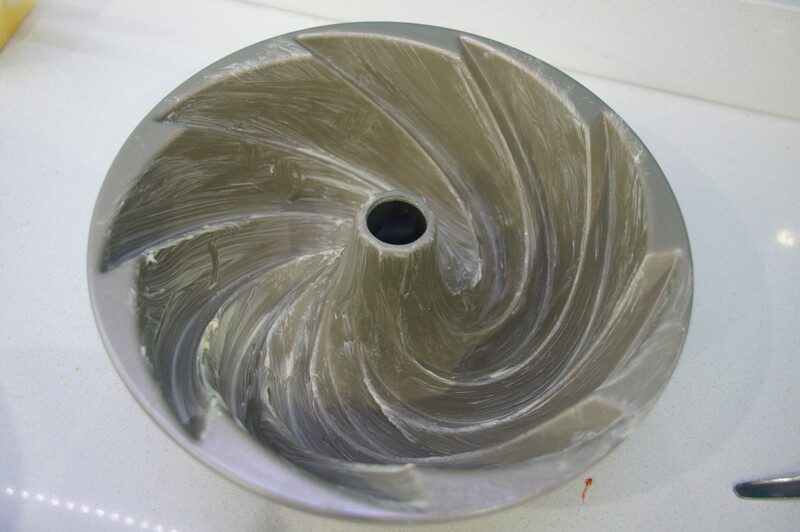 Generously butter the inside of the bundt tin using your hands (or a brush) to get right into the corners of the tin. 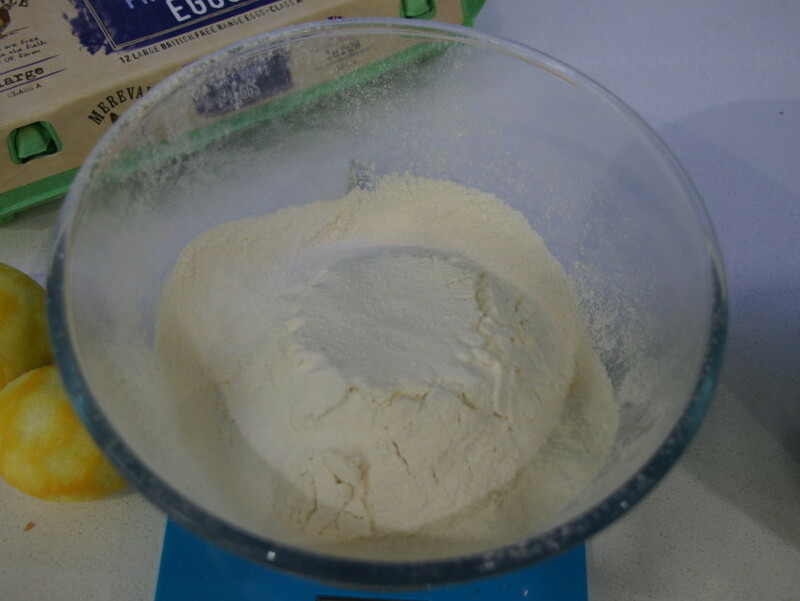 2) Sift the flour, baking powder, and salt into a large bowl. 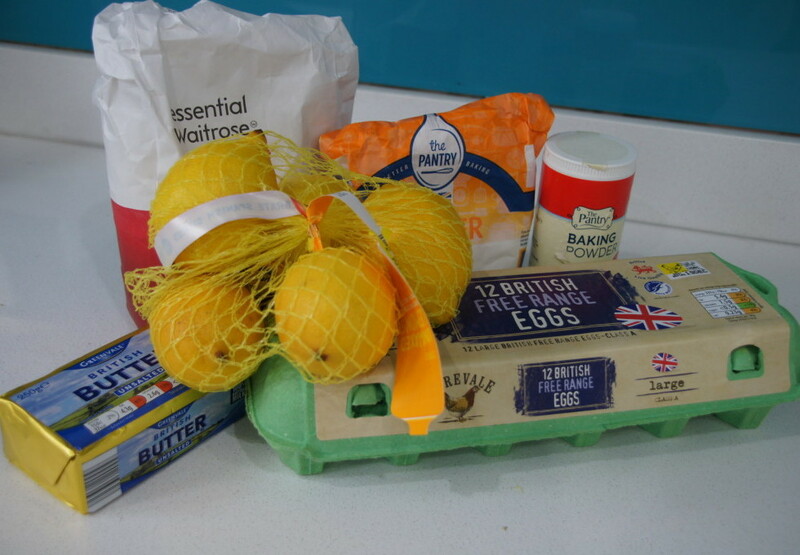 3) In another large bowl, using an electric whisk, cream together the butter, sugar and lemon zest until the mixture is very pale and fluffy. 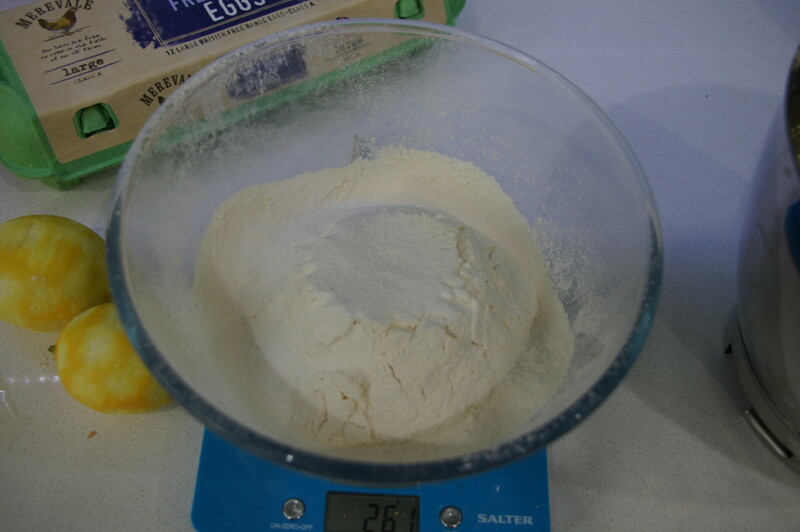 Add the eggs one at a time, whisking well after each addition, then (using a metal spoon) fold in the flour mixture (take care not to knock out the air you will have whisked in). 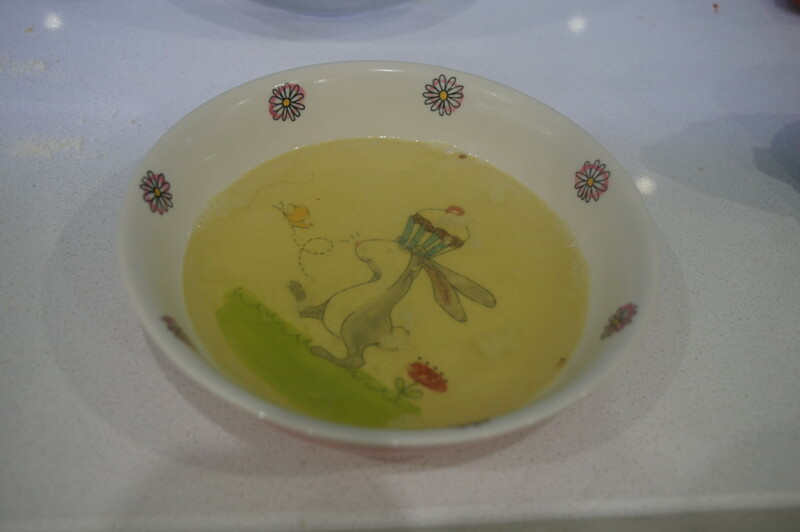 The mixture will be quite thick but don’t worry – it will turn out alright! 4) Dollop the mixture into the greased Bundt tin and smooth the top, then bake for 35-40 minutes or until a skewer inserted into the centre comes out clean. 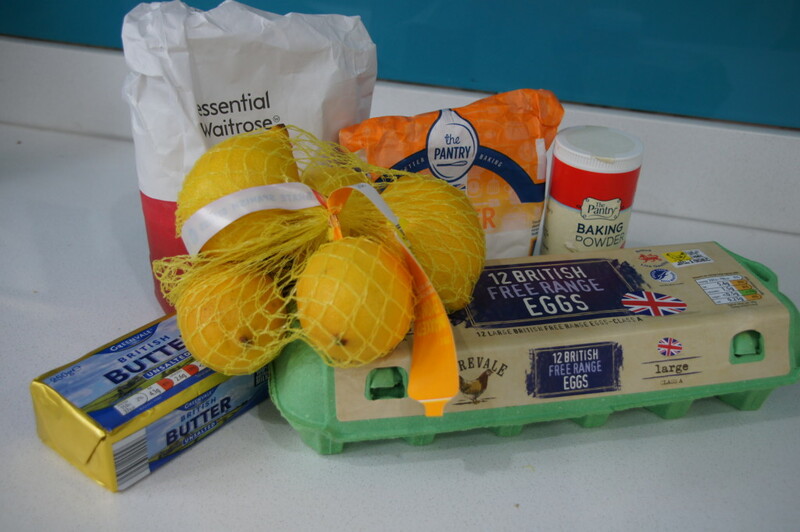 5) While the cake is baking, make the syrup by heating the sugar and lemon juice in a pan. Bubble for 3 minutes until reduced by half, then transfer to a shallow bowl to cool completely. 6) When the cake is cooked, remove from the oven, poke holes all over the surface and, while the cake is still warm, pour over the cooled syrup. 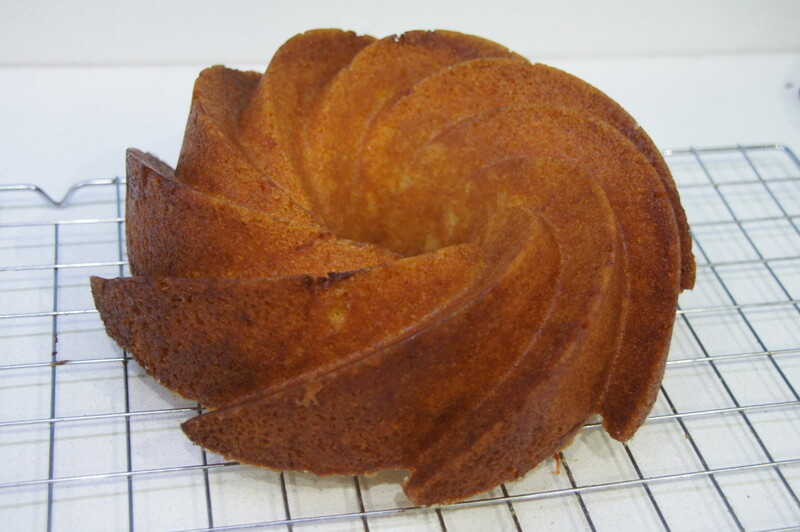 Leave the syrup to soak into the cake for 15 min, then turn the Bundt out of the tin onto a wire rack and leave to cool completely (I did this by placing my wire rack upside down on top of my Bundt tin and then turning it out quickly). 7) For the topping, put the icing sugar into a jug and add a teaspoon of cold water. Stir well with a fork until smooth, then add a little more water, drop by drop, until the icing reaches a thick, pourable consistency. Drizzle over the cake, leave to set for 15 min, then cut into slices and serve.